What should I do each day to stay healthy with diabetes? Breakfast is the most important meal of the day. Try to have some form of protein with your breakfast. Over the course of the day we should try to take 3 meals and 2 snacks. These should be well spaced out throughout the day. The liver cannot handle high amounts of concentrated calories in a short period of time. Follow the healthy eating plan that you and your doctor or dietitian have worked out. Drink 5 bottles (16.9 FL OZ) of water every day. 80% of the cells in our body are made up of water. They function very well when they are well hydrated. With diabetes there is increased thirst and increased production of urine as a result if we don’t drink enough water the cells get dehydrated and don’t function as well. The best time to have this water is in between meals. Try and not drink too much in short periods of time and too close to bedtime. Another rule is to drink half you weight in pounds as the number of ounces of water a day. We should try and exercise every day. Exercising too much may drop the blood sugar too low and cause hypoglycemia and stimulate our appetite. Every time we exercise in type 2 diabetes it is like giving yourself an insulin injection. 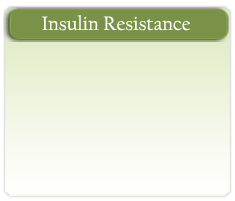 Exercise sensitizes the body to the enormous amount of insulin that already there because of insulin resistance. A good way is to start with 5 to 10 minutes brisk walk at 2.5 to 3 miles an hour in women and 3 to 3.5 miles an hour in men. Progressively increase the duration of exercise by 5 minutes every 2 weeks to get to 30 minutes in 8 to 10 weeks. This is a medical prescription and will allow most to lose weight and keep the diabetes under good control. In type 1 diabetes it’s important to check you sugar prior to and during the exercise to help regulate the amount of insulin and diet. By exercising thirty minutes 6 days a week, one of the largest studies in prevention of diabetes, (DPP Trial), people were able to prevent diabetes. This will have a profound effect in patients with type 2 diabetes by fixing the insulin resistance by 50%. Be active a total of 30 minutes most days. Ask your doctor what activities are best for you. Remember Dr. Gupta’s rule of 5. Start slow and slowly build up to 30 minutes a day at 3.5 miles an hour. After the age of 30 we start losing 1% of our muscle mass a year. If we have not been playing sports and been physically active, this may start at the age of 20 and muscle loss may be even faster. By isometric exercise (lifting weights) we can stop the muscle loss, tone up our muscles and bring back our muscle mass. As a result we will be able to burn more energy. It is important to note that the energy gets burnt in the muscle. Muscles are the furnace where energy gets burnt. We are born like an 8 cylinder Hummer and by losing our muscle mass we become a 4 cylinder Camry. Try and change your diet by 5% to 10%. Small changes lead to big changes in your metabolic syndrome, obesity, diabetes, high blood pressure, and cholesterol. Watch out for 5 white things such as, white bread, milk, rice, cheese, and pasta. Try and incorporate more fiber into your diet. 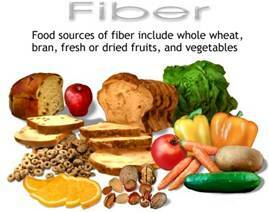 For every gram of fiber that you take, you will be able to minimize the effect of 1 gram of carbohydrate. Avoid juices because they are empty calories. Diet drinks have also been associated with increased incidence of obesity, metabolic syndrome, and diabetes. Have fruits with skin rather than just juice. Try and have two fruits and 3 to 4 vegetable servings a day. Wellness is a desire and if we want to be victors and successful we must eat a diet that will facilitate that. Simple sugars are to be avoided. At the end of the day, calories do count. As a result, large portion sizes and food like simple carbohydrates are to be avoided. When you eat out, share meals with friends and relatives so that you can split the large serving sizes between 2 to 3 people. Additional ways to be successful. Take your medicines as directed. Timing of the medicine is very important. Make sure you know when to take which medicine. Check your blood glucose every day. Each time you check your blood glucose, write the number in your record book. Check your feet every day after your shower for cuts, blisters, sores, swelling, redness, or sore toenails. Report any new changes to your doctor ASAP. Brushing your teeth twice a day and flossing your teeth at night will prolong your life. Control your blood pressure and cholesterol. Most cholesterol medicines are to be taken at supper time. When the LDL receptors in the liver are most active. Blood Pressure medicines should be taken first thing in the morning, when the blood pressure is the highest. Don’t smoke. If you smoke none of the medicines can help prevent the long term complications of circulations. You’re more likely to have a stroke, heart-attack, or amputation.